Driving medicine forward is a common theme at Augusta University Health, where innovative research and access to the latest treatments draws patients from across the nation. Through ongoing clinical trials spanning a wide range of conditions, the hospital brings hope to individuals and their families who have had little success with conventional treatment protocols. As the only academic medical center in the region, Augusta University Health brings new advances in medicine to the community, creating access to exciting new drugs that are only available in a research setting. Researchers are using immunotherapy to fight pediatric brain cancer that is unresponsive to conventional treatments. The researchers have found success by combining a drug called Indoximod—created here at Augusta University Health—with chemotherapy and low-dose radiation. A clinical trial involving cardiac stem cells allows the heart muscle to regenerate following damage from a heart attack, an infection, valve disease or another cause. The objective of stem cell therapy is to place functional stem cells, which are capable of promoting cardiac repair into the heart. “We have the infrastructure to deliver some complicated treatments that are very time intensive and resource intensive, which would be difficult to deliver in the community hospital setting,” said Dr. Johnson. Clinical trials are conducted in three phases. In phases 1 and 2, the researchers determine whether a new treatment is safe and effective and whether it has side effects. Phase 3 involves larger studies comparing the treatment to standard therapies. Typically, a candidate for a clinical trial would be an individual who has tried conventional therapies for a specific disease with little to no success, or who has a disease with no effective known treatment. The impact of clinical trials can be very positive in terms of improving treatment options. 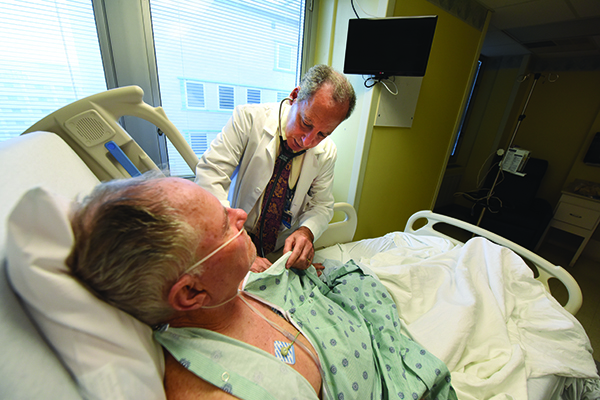 In the field of cardiology, for example, Augusta University Health has made tremendous progress, largely because of advancements achieved through clinical trials. “If you look at what has happened to cardiovascular mortality over the last 40 years or so, it has declined dramatically and that’s largely the impact of clinical trials,” said Dr. Neil Weintraub, a cardiologist at Augusta University Health. 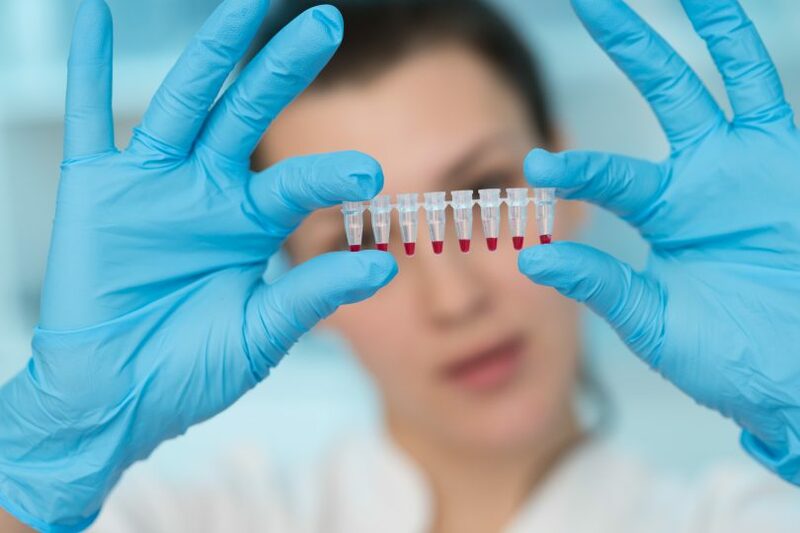 Researchers offer clinical trials in many areas, including cancer, cardiology, neuro-oncology, diabetes, multiple sclerosis, pediatric oncology and women’s health, providing patients with the most innovative treatments available. 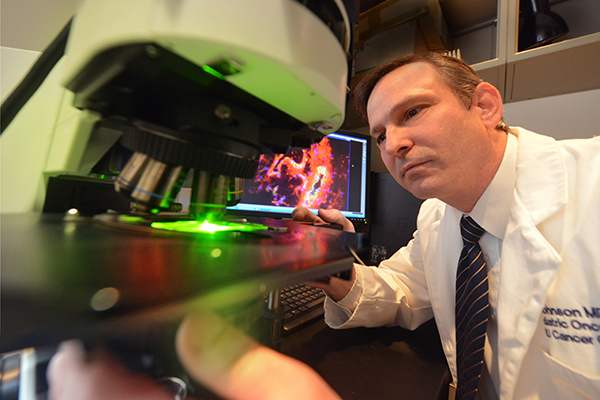 “As an academic center, people on the faculty are nationally renowned and we are in a position to offer trials for certain therapies that would not be available otherwise,” said Dr. Weintraub. “For patients who have exhausted all other options, clinical trials bring some hope to the equation because it is possible to have some benefit from a drug that is currently being studied. There is also an altruistic incentive to helping understand what treatments would be beneficial to the next generation of patients,” said Dr. Johnson. For more information about clinical trials available at Augusta University Health, call 706-721-6582 or send an email to cts@augusta.edu.